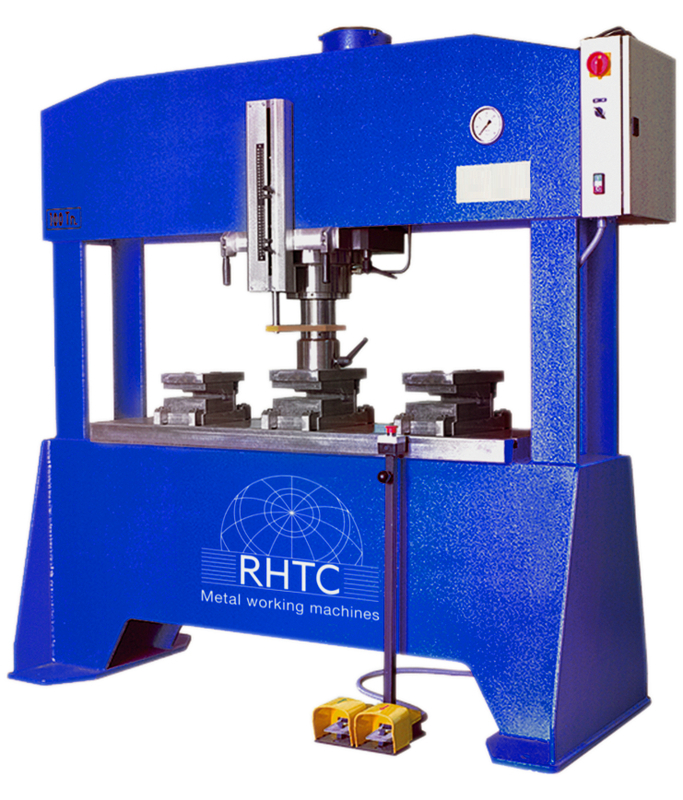 The hydraulic presses with fixed table from Profi Press are made out of an electro welded structure (ST.52-3 steel) and are designed to perform work involving punching, bending and straightening. FLM-models: equipped with a sliding headstock (lateral) provided with a manual locking system. All these Profi Press models are provided with a double acting cylinder with a chrome plunger and a removable and interchangeable hold-down plate to avoid deterioration of the plunger and machined at the end for tool adjustment. The cylinder is provided with anti-turning and the adjustable stroke endings allow us to easily regulate the cylinder stroke. The two-speed motorized hydraulic unit with automatic high speed deactivationis equipped with a cylinder decompression valve and a manometer in tons. 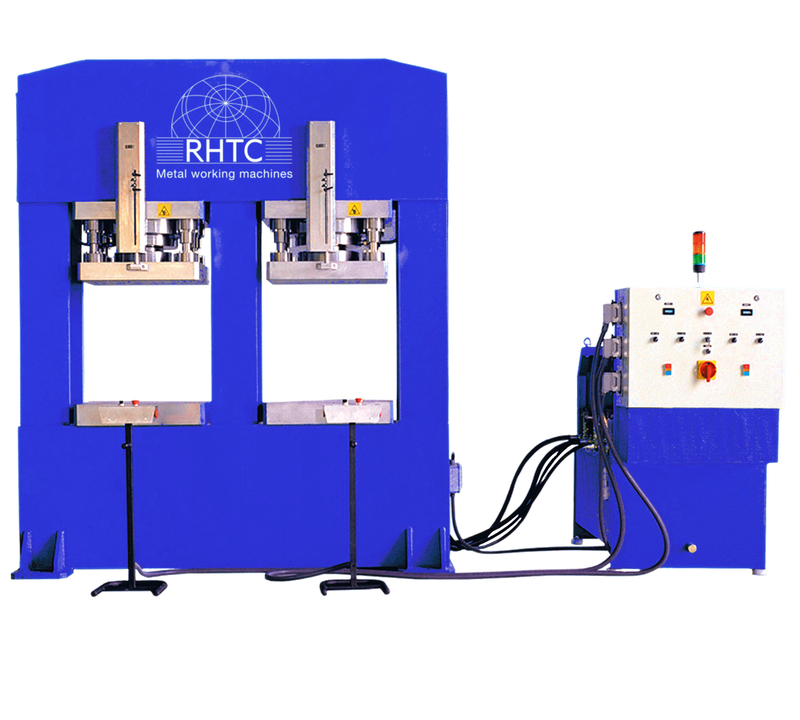 The control panel of these hydraulic presses features a selector for manual or semi-automatic operation and a selector for the two different cylinder speeds (fast approach speed and slow working speed). Operation is carried out by low voltage electrical pedals. These Profi Press hydraulic presses can be delivered with several options such as a hydraulic ejector, tools for punching or folding, a front pressure regulator or the geometry adapted to your needs. RHTC gives a warranty of two years. 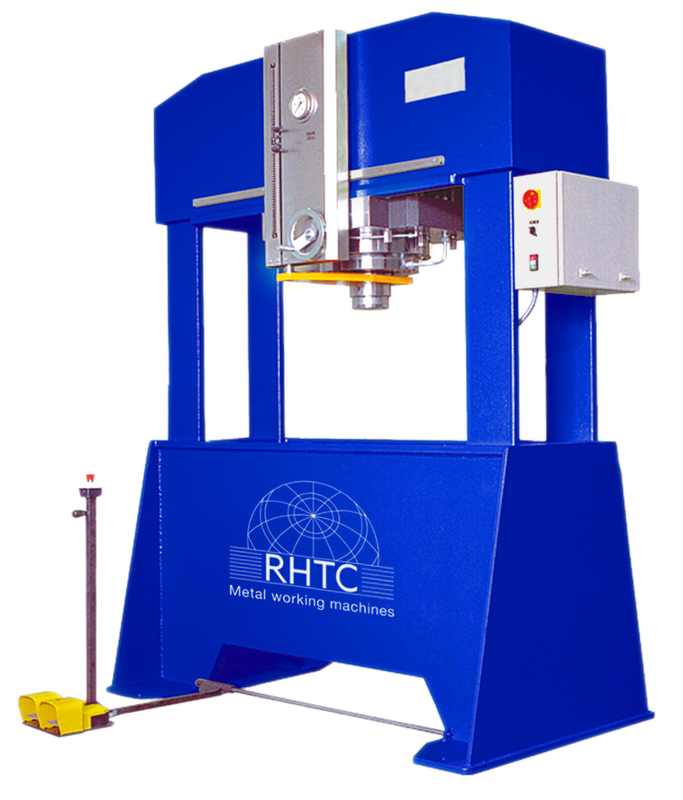 These hydraulic presses are made in Europe and fulfil the latest CE-regulations.